Early this week fashion designer Julian Macdonald has been named patron of a Breast Cancer centre at Llandough Hospital in Cardiff, following his efforts to help raise funds for the Breast Cancer Awarness campagian. Macdonald had launched an fundrasing ball in honour of rasing funds for Breast Cancer Awarness campagin. Macdonald raised £10,000 through an auction at the event, even offering to design a dress for the highest bidder. Money will go towards buying a new mammogram machine, which will help detect breast cancer at an early stage. "I am absolutely delighted to be the patron of the new Breast Centre at Llandough Hospital in Cardiff," said Macdonald. "Breast Cancer affects so many people but thanks to this new facility, people from across Wales and beyond will get a world class service. The service provided is already fantastic giving patients the very best treatment in the very best of surroundings but I want to help make it even better and hopefully over the coming years we can raise the profile of the incredible work being done here and most importantly try and raise one million pounds so we can keep investing in state of the art equipment that will help us beat Breast Cancer." Donate now! 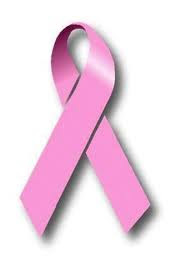 Togehter we can defeat Breast Cancer.